Shares of JM Financial surged 14 per cent to Rs 98.70 on the BSE in intra-day trade on the back of heavy volumes after the Hotel Leela Venture agreed to sell four hotels to Canadian investment fund Brookfield Asset Management for Rs 3,950 crore. 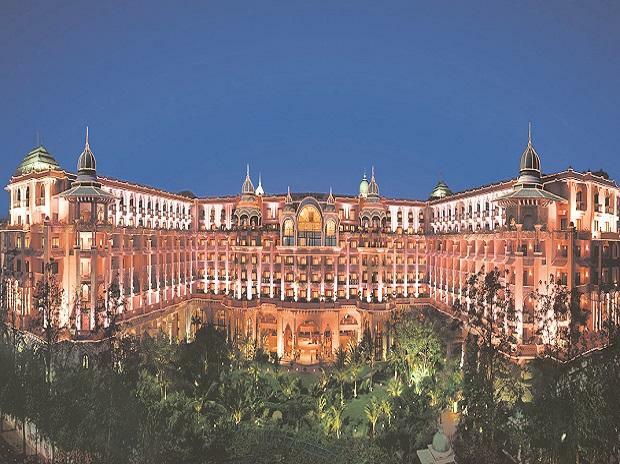 As of December 31, 2018, JM Financial Assets Reconstruction Company held 26 per cent stake in Hotel Leela Venture, the shareholding pattern data shows. JM Financial Asset Reconstruction Company is the asset reconstruction and securitisation business of the JM Financial Group. Hotel Leela Venture on Monday said it has entered into a binding agreement with a Brookfield Asset Management (Brookfield) sponsored private real estate fund, to sell by the way of slump sale, four owned Leela hotels located at Bangalore, Chennai, Delhi and Udaipur and the property that it owns in Agra. The promoters of the Leela brand would also be transferring the brand to Brookfield for all hospitality businesses. In a communication to the BSE, Hotel Leela Venture said the proceeds of the transaction would be used in accordance with the provisions of the definitive agreements to repay the existing lenders of the company, after which all borrowings from all banks and financial institutions would have been repaid. At 10:52 am, JM Financial was up 9 per cent at Rs 94.30 on the BSE. The trading volumes on the counter nearly doubled with a combined 3.9 million equity shares changed hands on the NSE and BSE so far. Hotel Leela Venture locked in upper circuit of 5 per cent at Rs 11.63 on the BSE. A combined 172,879 shares changed hands and there were pending buy orders for 4.4 million shares on both the exchanges. In comparison, the S&P BSE Sensex was quoting 0.24 per cent higher at 38,186 points.